As always Silvers Circus has left us in dropped jaws of how fearless the performers are and scratching our heads at the magic that is fresh in our minds from earlier this afternoon. Photo taken at the Silvers Circus today. Today we started the school holidays with an afternoon at the circus. For me this was the third time I had ever seen the circus and was miss Niah's second time. Last year we attended Santa's Magical Kingdom which is presented by Silvers Circus as well, Niah was only a few months old then so it was good to be able to take her back and get her involved this time. The Silvers Circus first half of the show was Yibi the juggling genius who really ads something different and like no other preforming juggler I have seen before. 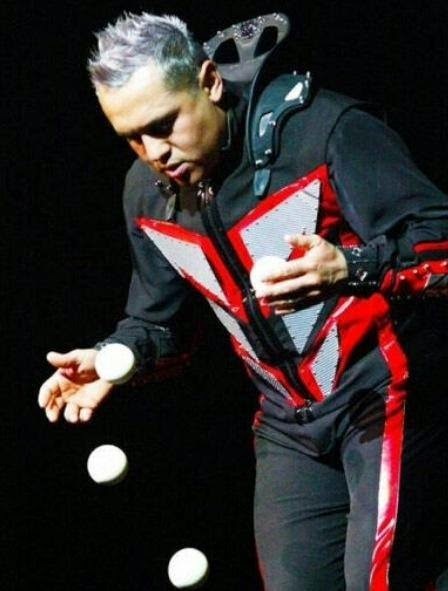 Yibi juggles numerous amounts of balls around him, under him, side to side of him and really makes your eyes go funny with how fast his hands are working! Followed on by the Comedy Clowns who pull out an audience member to come and take place as a target for there tricking axe throwing! Silly and funny - these clowns will be sure to get those kiddies laughing in this act. Gypsy was next to come on stage with sparkling clothing and a figure that lots of woman would die for (or maybe that's just me!) 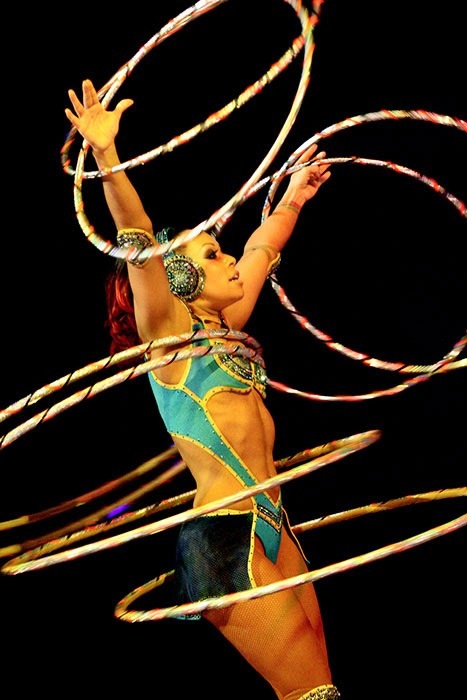 - Gypsy takes on a tremendous amount of hoola hoops all whilst being on a large disco ball! I just love Gypsy's performance, she really is something and always leaves me amazed at such talent! Wheel of Steel was the last performance before the intermission where Dominik and Ramon put themselves into a terrifying off the ground, high up in the air 'wheel of steel' with no safety clips attached to them! These boys will really have you on the edge of the seat and saying 'oh, oh' as they walk, jump, skip and walk with no sight in the wheel of steel. After intermission the beloved AFL footy dogs came on! Australia's only footy playing dogs! 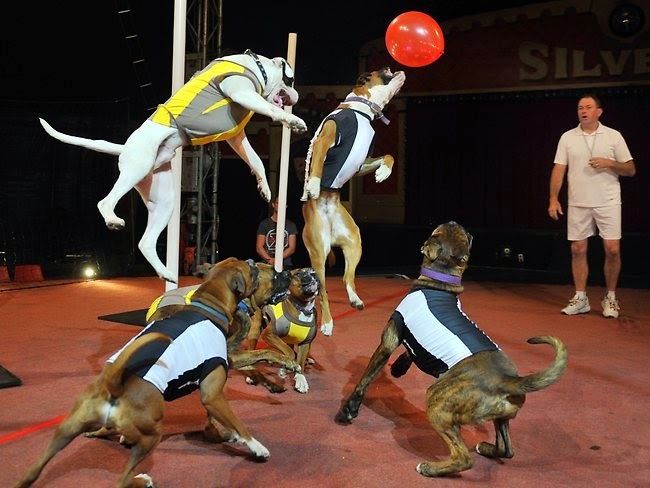 Two teams of 3 dogs come out with a footy field and a balloon for a ball will take mark and have you cheering from your seat as you watch in amazement at the dogs playing footy! Ramon came on out next to another act of High Ropes - again another performance with no safety clips attached to him as he walked on the thin ropes above our heads, high up from the ground. This was the first time I had seen the High Ropes in the circus from Silvers and it was really spectacular, Ramon puts on stilts and walks across and not only that but takes a chair out with him onto the ropes! Serious focus, dedication and talent here! The Roman Rings was up next with the stunning Rosita who performs high above our heads as well swinging from two rings in the air - just dangling from the rings with her knees, legs or head as well! This one requires major body strength here! And then the Phoenix Riders come out to the ending performance for the show entering The Globe of Death on motorbikes! The Globe of Death is a huge steel circular globe that has 3 motorbike riders locked in and racing around the globe like it was nothing. How those riders keep it together has be puzzled, I get dizzy just from watching on the outside with them going round and round. 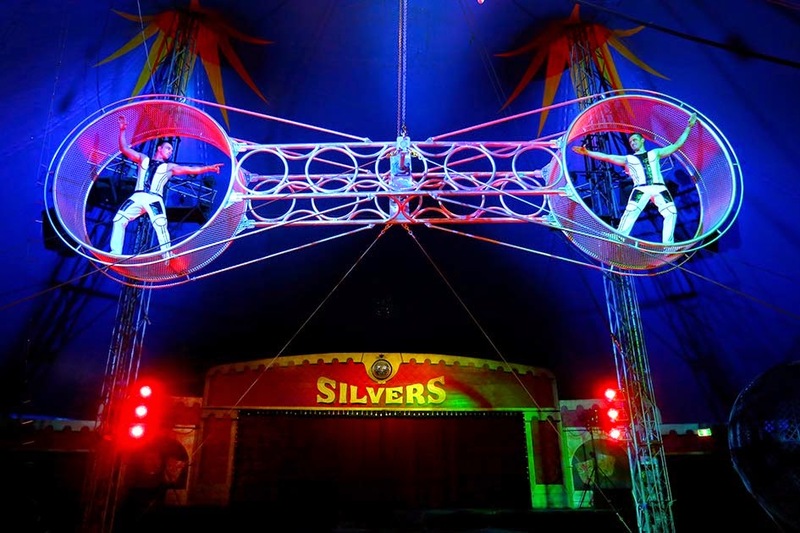 Silvers Circus is a must put on the school holidays list, the date night or a special treat for the family list! Silvers Circus is never a disappointed with an act that will interest the young and old for entertainment. During the show between big acts they have Simon the Ringmaster come out with lovely assistants performing illusionist tricks that have me still pondering how and where things went in the show. Guess we'll never know. Silvers Circus offer sideshow attractions for you to enjoy before the show, during intermission and after the show as well as providing all those treaty foods throughout the event. What I really love is that Simon The Ringmaster will be standing at the exit to farewell you off at the end of the show. Professional and very intimate to get involved with the patrons like that. Well done Silvers Circus - you have us eagerly awaiting to attend again! As you will have seen from my previous post - Silvers Circus is back in Melbourne and roaring up another crowd. 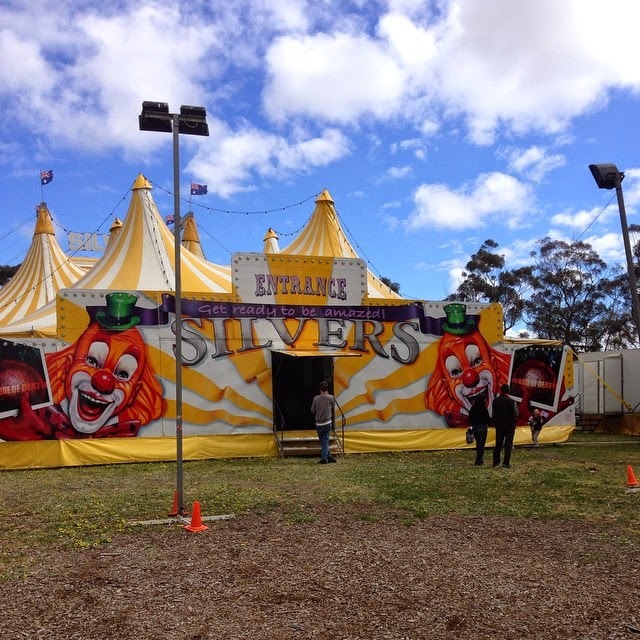 Silvers Circus is on its last Melbourne showings which is on the Burnley Oval in Richmond, situated just a short drive from the CBD or a short walk from the train station. *All photography has been provided to me except for marked ones of my personal as there is no photography of the show in the big top.